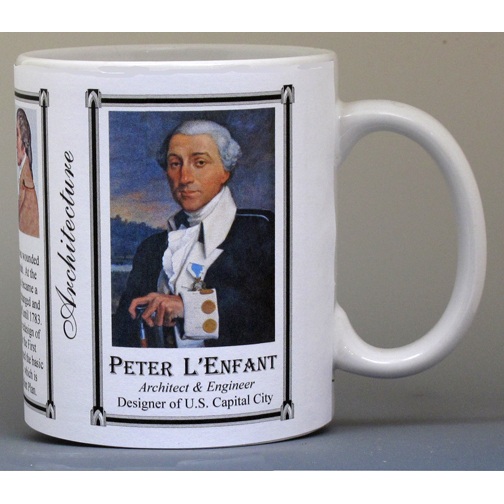 This Peter Charles L’Enfant history mug is one of a collection of Revolutionary War and Post-Revolutionary War biographical mugs. 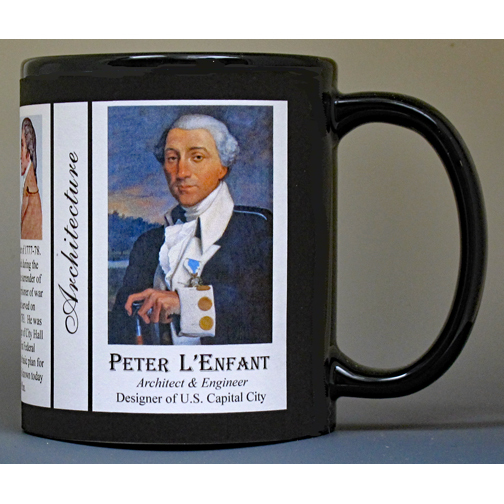 An image of Peter Charles L’Enfant and a short biography are features of this history mug. 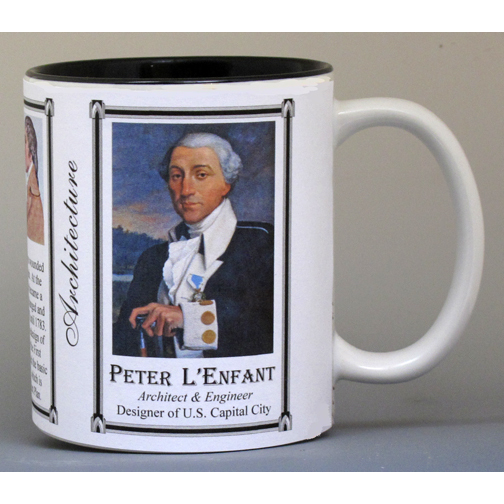 Peter Charles L’Enfant served in the American Revolutionary War as a military engineer. 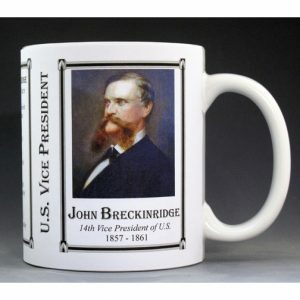 He was with Washington at Valley Forge, the winter of 1777-78. 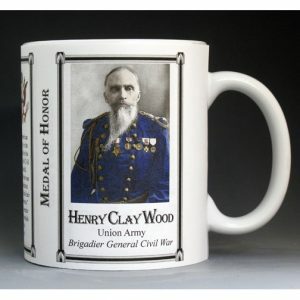 In 1779, he was wounded during the siege of Savannah. 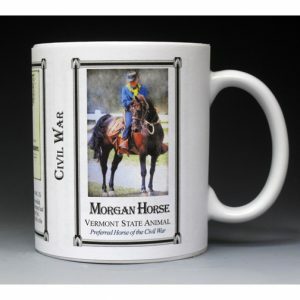 At the surrender of Charleston, he became a prisoner of war but was exchanged and served on Washington’s staff until 1783. 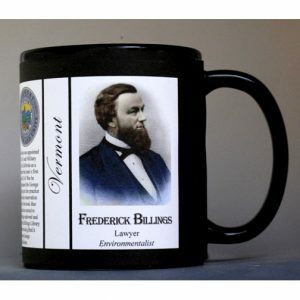 Peter Charles L’Enfant was the architect of the redesign of City Hall in New York for the First Federal Congress and designed the basic plan for Washington, D.C. which is known today as the L’Enfant Plan. 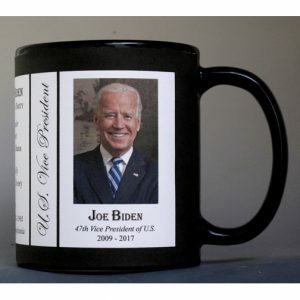 In 1791, President George Washington appointed Peter Charles L’Enfant to plan the design of a new city, located on federal territory that would later be designated as the District of Columbia. The design would include public buildings as well as locations for the President՚s House and the Congress House.